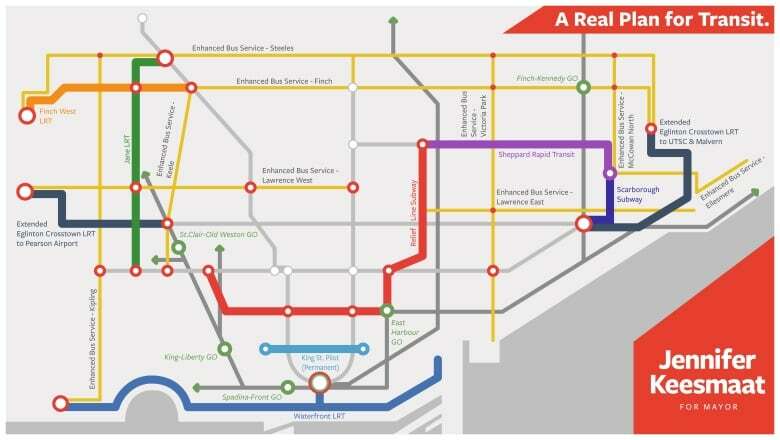 Calling John Tory's transit vision for Toronto "a political promise drawn on the back of a napkin," mayoral candidate Jennifer Keesmaat unveiled her own plan for the city's transit future on Thursday. The former chief city planner told reporters that her plan goes beyond "election cycles" and provides a blueprint for decades of development. "This is about real transit and a real plan for the City of Toronto over the long term," she said. Build the downtown relief line by 2028, three years sooner than current projections. Make the King Street pilot project permanent, a move that Keesmaat called "low-hanging fruit." "Unsnarl the mess" in Scarborough by building the Scarborough subway with provincial funds and cancel the eastern extensions of Tory's SmartTrack plan. Extend the Eglinton LRT to Pearson airport. Implement "enhanced bus service" in areas where it makes sense. Design and build the Jane LRT. Before her announcement, city hall observers wondered if Keesmaat would offer any support for the provincial government's controversial plan to build a three-stop subway extension in Scarborough, a plan that comes with a price tag of some $4.6 billion. 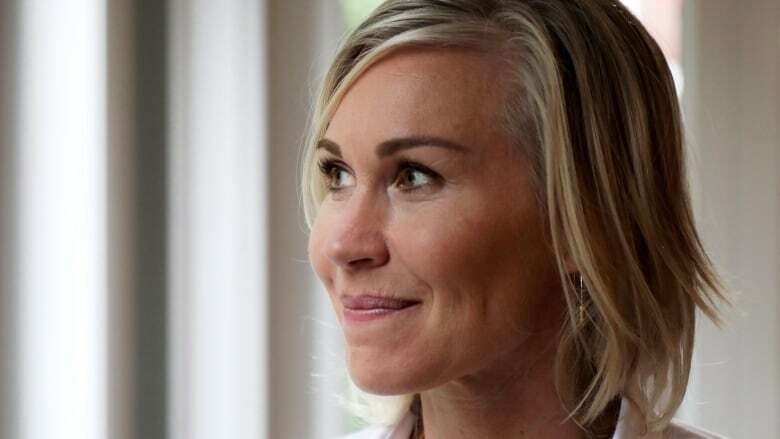 "I think the province is going to do it no matter what, I think that's very clear," Keesmaat said. Instead, Keesmaat suggested, the city can use the capital investment it will save from the province covering the cost of the Scarborough subway to build out the eastern component of the Eglinton Crosstown LRT. Keesmaat, who worked side-by-side with Tory during her tenure at city hall, also used the opportunity to expand on her criticism of the mayor's SmartTrack plan — one that has been diluted considerably since Tory introduced it during the last municipal election campaign in 2014. "SmartTrack was a distraction. SmartTrack was a mirage. It took us away from building a true transit network," she told reporters gathered at a downtown YWCA. In a statement, a spokesperson for Tory's campaign said Keesmaat's "risky" plan amounts to "shifting two stops in Scarborough." Keerthana Kamalavasan also pointed out that Keesmaat previously expressed opposition to a three-stop subway extension in Scarborough. "In any case, re-drawing the transit map again, and reversing course on the Scarborough subway extension for a fourth time, would mean cancelling work already underway, incurring massive new costs and renegotiating funding agreements with other levels of government," she said. "Toronto needs a mayor who will end the talk and get on with building."